Woman’s paper dress, labeled Elisa Daggs (American, 1966). Front view, non-woven fabric. Label reads: “A paper fashion by Elisa Daggs.” Gift of Yvonne Gunderson (2003.772). Photograph © Museum of Fine Arts, Boston. Welcome back to our 1960s paper dress odyssey! Today’s post takes a look at the impressive range of what constituted paper fashion during an explosive, but short-lived trend. The example shown above, created by high-end designer Elisa Daggs, takes a decided detour from the sleeveless A-line shift dresses featured in my earlier posts—namely, our Souper Dress (about 1967) and our Hollywood Dress (1968). The flat, open canvas of their basic, unadorned construction was exploited, quite literally, as a wearable poster—giving rise to a slew of the latest paper dresses emblazoned with graphic images of op art, pop art, celebrities, political candidates, and other popular images that blurred boundaries between “high” art and “low” culture. Woman’s paper “Souper Dress” (American, about 1967). Distributed by Campbell Soup Company (American, founded 1960s). Cellulose and cotton non-woven fabric, printed. Lucy A. Morse Fund in memory of Kate Morse (2003.135). Photograph © Museum of Fine Arts, Boston. Woman’s “Yellow Pages” paper dress (American, about 1966). Cellulose and cotton non-woven fabric, printed; cotton plain weave (bias tape) trim. 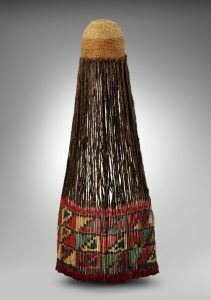 Label reads: “Waste Basket Boutique by Mars of Asheville, N.C.” Textile Income Purchase Fund (2003.136). Photograph © Museum of Fine Arts, Boston. The MFA’s Yellow Pages Dress (about 1966, below left) with a tie collar embellishment extending beyond the flat paper plane, and bearing an understated collage pattern of print advertisements, sits somewhere between the zeitgeist-inspired sensibilities of 1960s poster fashion, and alternative manifestations of disposable ready-to-wear for women, as seen in Elisa Daggs’ conventional rendering of a woman’s dress (below right) with ruffled collar, loose matching sleeves, and a belted waist. Woman’s “Yellow Pages” paper dress (American, about 1966). Cellulose and cotton non-woven fabric, printed; cotton plain weave (bias tape) trim. Textile Income Purchase Fund (2003.136). Photograph © Museum of Fine Arts, Boston. Woman’s paper dress, labeled Elisa Daggs (American, 1966). Back view, non-woven fabric. Label reads: “A paper fashion by Elisa Daggs.” Gift of Yvonne Gunderson (2003.772). Photograph © Museum of Fine Arts, Boston. 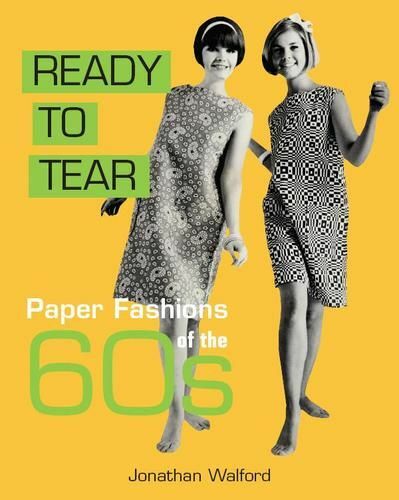 From the MFA’s Textile and Fashion Art research library, I located a book by fashion curator and collector Jonathan Walford, Ready to Tear: Paper Fashions of the 1960s. Walford is said to have acquired an example of nearly every paper dress ever manufactured. Included in his book are examples of dresses that Elisa Daggs designed for the aviation industry. BOAC and Trans World Airlines introduced paper uniforms for their stewardesses in 1967. For TWA, Daggs designed four distinctive uniform styles for travel to Italy, France, Hawaii, and on New York to Los Angeles Ambassador service. For first class transatlantic flights to Paris, Daggs created a gold foil uniform with a standing ruffled collar and belt. She also designed a purple and lime-green sari for Air India as a promotional campaign, available for the price of $5.00 by mail order from Air India’s public relations department in New York. Paper fashion by Elisa Daggs commissioned by TWA and Air India. Left: Gold foil stewardess dress for first-class service on transatlantic TWA flights to Paris, 1967. Image courtesy Augusta Auctions. Right: Paper sari for Air India, 1967. Image courtesy Jonathan Walford and the Fashion History Museum, Cambridge, Ontario. Click image for web source.